‘Capitalism’ is back on Main Street. Crashing, dismantling, reforming, repairing, restoring – all kinds of approaches to capitalism are discussed in the wake of the recent crisis. The debate has gained far more momentum today than it had during the past decade, though we had already witnessed a number of such crises. However, in practice, the gap between regulatory rhetoric and actual reform of our economies and the world economy as a whole is still considerable. Our systems remain at risk of on-going instability. Crises will continue to be the norm rather than the exception if we keep on working with the dysfunctions of current capitalism. Many of us will be unable to live a decent life under conditions of increased insecurity, inequalities and pressure in terms of wages, jobs, raising children and providing for old age. An excessive degree of unequal income distribution and personal insecurity is not only detrimental to a good life; it is also economically dangerous and inefficient. The reasons for economic crises and increasing inequality, which are symptom and root of personal and systemic insecurity and inefficiency alike, are manifold. Finance has played a crucial role in most of the economic crises we have experienced since the 1990s. Financial markets are both gigantic amplifiers of imbalances within and between our economies and a root of imbalances themselves. Illuminating the cracks in finance is therefore the logical starting point for the Plan B of fixing our current capitalistic system. The excesses of finance are only one part of the fundamental problems economies and societies are facing and which have contributed to the recent crisis. There are at least three dimensions of instability which are related to finance but go beyond the narrow instabilities of the financial system. First, imbalances between different sectors within economies have escalated. One expression of this is highly indebted private households as well as governments, as a consequence of real-estate and other bubbles which were fuelled by the financial system. Second, international imbalances have never been as big as they are today. Third, together with financial deregulation the shareholder-value principle of corporate governance became dominant. This led to a short-term orientation of management and high bonus payment for management at the cost of long-term sustainable development of companies and firms. Besides these developments, the radical market globalisation of the last decades led to a huge increase in wage dispersion and an ever-growing low-wage sector which had not been seen since the early times of capitalism before the First World War. Labour markets in almost all industrial countries became more deregulated while at the same time trade unions became weaker. In many cases economy-wide or sector level collective bargaining was eroded. Firm-based wage negotiations or individual working contracts without any collective agreements started to dominate. Increasing inequality is a phenomenon which can be found in almost every country. High inequality does not only provoke a feeling of ‘unfairness’ in and between societies; it also hinders social mobility and has negative impacts on health and productivity. Hungry wolves do not hunt best – in fact, the very opposite is true for present day economies. The American dream of high social mobility within a society and the opportunity for anyone to become rich if they work hard enough is in fact little more than a mirage. Today, mobility within society is more of a reality in the Nordic countries of Scandinavia where equality is higher than in the Anglo-Saxon world of capitalism. Capitalism has more problems: in the past, it led to a very special type of technology, production and consumption growth which is blind to ecological problems and the fact that natural resources are limited. Prices systematically fail to adequately incorporate ecological dimensions and the deterioration of nature. Prices also give the wrong signals for the direction of innovation as well as of production, consumption and the way we live. After experiencing a number of regional ecological disasters in the past century, the world is now heading for a global ecological disaster, unless fundamental changes take place very soon. 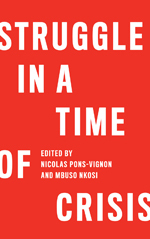 This makes the search for solutions very complicated: the present crisis is not only a deep crisis of traditional capitalism, but it has emerged at a time when a deep ecological crisis is also evolving. A global Plan B should therefore include three interrelated dimensions. First, the model should be ecologically sustainable: preventing global warming, changing to a renewable energy basis and preventing other problematic developments such as a reduction in biodiversity. Second, it should be formed in such a way that the growth process is not jeopardised by either asset-market bubbles or goods market inflation or deflation, and does not result in the excessive indebtedness of individual sectors or even whole economies, thereby leading inevitably to the next crisis. At the same time, such a model should promote innovation and, therefore, technological development necessary both for solving ecological problems and, in the medium and long term, increasing labour productivity and so holding out the possibility of growing prosperity for all. Third, it is critical that all population groups have a share in social progress. Inequality of income and wealth distribution must be at politically and socially acceptable limits. At the core of Plan B is a more equitable income distribution. It is crucial to reverse the negative changes in income distribution and grant all population groups an adequate share in the wealth created in society. One secret of the success of regulated capitalism after the Second World War was the increasing mass purchasing power of workers, based on growing incomes and relatively equal income distribution. It is now becoming clear that the old model has to be regenerated. Income distribution has three important components: functional distribution of income in wages and profits, distribution within the national wage sum and the national profit sum, and state redistribution policy. A fall in the wage share is the result of a higher profit mark-up. The latter was possible on the basis of deregulation, particularly due to the increasing power of the financial sector and its willingness to take risks in pursuit of higher returns. The shareholder-value approach and the increasing role of institutional investors drove enterprises to pursue higher profit mark-ups. Correspondingly, the structures and rules of the game in the financial sector must be changed in such a way that the profit mark-up falls again. Recent decades have been characterised by significant wage dispersion. In almost all countries in the world the low-wage sector has increased. Precarious employment and informality have also increased, especially in the sector of non-tradable goods and services. Globalisation trends, therefore, cannot directly explain the emergence of these sectors. They are the result of labour market deregulation. These unjustified income inequalities among wage earners must be dismantled by means of labour market reforms. The collective bargaining system must be strengthened, backed up by other labour market institutions to achieve the decent work conditions stressed by the International Labour Organisation. Minimum wages and social security guaranteed by the state also play a crucial role in this. Such labour market regulations are not only important to reduce income inequality, they are also important to establish a nominal wage anchor against deflationary money wage cuts. Even with strict regulation, markets do not lead to a politically acceptable income distribution. In addition to that, not everyone has equal chances in the market. The disadvantaged – whether on the basis of gender, childcare responsibilities, handicap, age, race and so on – can drop out of the market and be deprived of an income, or at best obtain only an inadequate one. Ultimately, by no means are all incomes obtained on the basis of personal achievements; consider, for example, large inheritances, which are an intrinsically alien element with regard to capitalism. Tax law and social systems must be deployed in order to organise income distribution in a socially acceptable manner. Tax law should therefore include a clear redistributive component, and this need becomes more pronounced the more evident it is that market outcomes alone will lead to growing inequality. Against this background, not only is a markedly progressive tax system important, but above all, regulations which ensure that incomes from capital are adequately taxed. This Plan B might sound good, but is it not completely unrealistic? Change the rules of the game and shift the roles of governments, society and the market at the local, national and global level – and the powerful few who have been benefiting greatly from the current brand of capitalism might actually lose out. However, the outlook for change is not that bleak. Economic history is full of deep shifts in opinion, followed by deep shifts in the structure of economic institutions. Crises allow us to call into question all doctrines and interests which have been disseminated virtually unquestioned. One thing is very clear, however: a more ‘decent capitalism’ will not be created by the profiteers of the current system of non-regulation. Their profits are built too heavily on certain prerogatives, which they will not just hand over to public control. Quite the opposite is true: it is mostly mere placebos that have been rubber-stamped by the global financial elite so far. For deeper reform the underlying power relations of current finance capitalism will have to change, which means that the relationship between states and markets will have to be radically rebalanced. 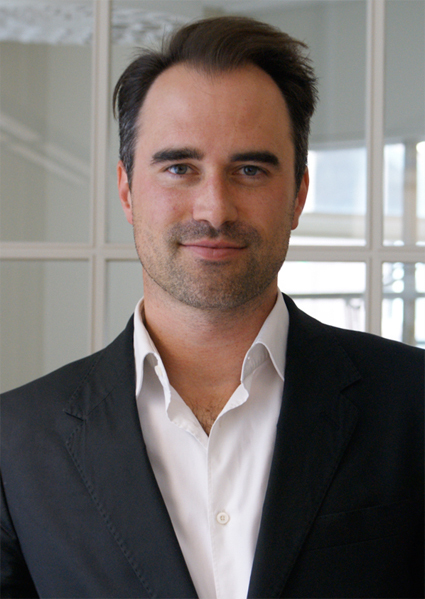 Christian Kellermann is the Director of the Nordic Office of the Friedrich Ebert Foundation (FES) in Stockholm. Before joining the FES, he worked as a financial market analyst in Frankfurt and New York.